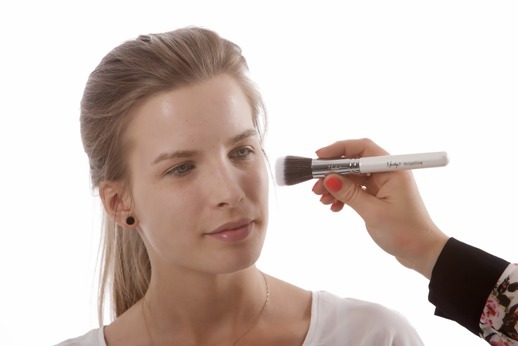 Finding the perfect foundation online doesn't have to be a complicated and impossible task. Whether you're searching for the ideal mineral makeup or you're looking for the perfect liquid foundation, there are several tricks that can make finding all of your best choices relatively straightforward. Once you get the hang of it, selecting a good foundation color on the internet isn't at all difficult. If you're looking online at a detailed listing for a product such as Flawless Finish Liquid Mineral Foundation, you should make sure that it specifies the available colors before anything else. The last thing you want to do is purchase a foundation without thinking about the color. If you accidentally buy one that's two shades too light or two shades too dark for you, you won't be able to use it and instead you'll have to go through the dull and often time-consuming return process. When you buy online makeup products, the key is diligence. Foundation listings in almost all cases indicate the names of the specific shades. If you're searching for pale foundation shades, you might want to look for names such as "ivory," "porcelain" or "vanilla," for example. If you're looking for darker and deeper foundation shades, you may want to keep your eyes open for names like "cocoa," "mocha" and "bronze." If you're looking for colors that are in the middle, then "buff" and "beige" may make suitable options. The choices are plentiful. Although names of foundation colors can often be helpful clues, it's crucial to never ever rely solely on them. Although "ivory" generally signifies a rather pale color, there's never any guarantee that the ivory the manufacturers mean is anything like the light tone on your own face and body. Since foundation color names can often be somewhat misleading, it's important to look at foundation color charts that list all of the available color choices. Fortunately, many brands provide these charts for their product lines. These charts typically begin with their lightest options and then move gradually up to their darkest ones. If you look carefully at a chart of this type, it can help you rule out certain colors. At the same time, it can also help you pinpoint which specific color or colors are optimal for you. You in some cases may even realize that none of the colors for a specific foundation are suitable for you. If you determine that one makeup product doesn't have a color that's appropriate for you, it's time to move on to a different option. If you visit a local MAC Cosmetics counter at a department store, you can also speak to an employee who works there to determine what foundation shade you are. Many people use MAC foundation colors as guidelines for making other makeup purchases, whether online or offline. These foundation colors take many crucial aspects into consideration. They consider whether your skin is neutral, warm or cool-toned, to start. If you figure out what your MAC foundation color is, you can compare notes with online sources and determine which makeup products are indeed ideal for you.